Wells Fargo upgrades Apple; company’s shares up 5.7% — Wells Fargo analyst Maynard Um has upgraded his Apple share outlook to “outperform” with a target range of US$125 to $135. “While we note that our fundamental stance on Apple’s challenges are unchanged, we believe shares have over-corrected,” Um wrote in a note to clients. VMware Fusion 8 and Fusion 8 Pro now available with Windows 10, El Capitan support — Today VMware has released VMware Fusion 8, its newest iteration in the VMware Fusion line. VMware Fusion 8 is designed to let Mac users run Windows on a Mac without rebooting – the new version provides support for Microsoft Windows 10 and for Mac OS X El Capitan. 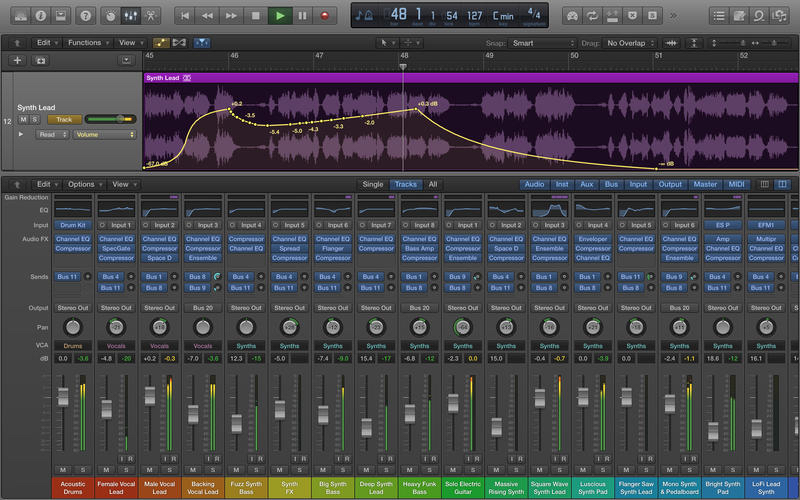 Apple Logic Pro X and MainStage get Alchemy support — Apple has updated Logic Pro X — its software for writing, recording, editing and mixing your own music — to version 10.2. It now integrates Alchemy, a sample-manipulation synthesiser. With it you can find and shape sounds from the Alchemy library or create your own with a choice of synthesis engines and advanced morphing tools. You can also produce sounds with analog-modeled filters, multiple modulation sources, an integrated arpeggiator, and a range of effects. Apple issues sixth Xcode 7 beta to developers with minor bug fixes — Apple has released another beta version of its upcoming Xcode 7 coding tool to developers. It has support for watchOS 2.0 beta, OS X 10.11 beta, and iOS 9 beta 5 SDKs.